Raytheon has signed an agreement with the Swedish Govt. to provide the Patriot Air and Missile Defense System for the Sweden Patriot Force. The agreement, formally referred to as a Letter of Offer and Acceptance, paves the way for Sweden's Patriot force to rapidly reach Initial Operational Capability. Raytheon’s Global Patriot Solutions is a missile defense system consisting of radars, command-and-control technology and multiple types of interceptors, all working together to detect, identify and defeat tactical ballistic missiles, cruise missiles, drones, advanced aircraft and other threats. Since it was first fielded, it has been used by five nations in more than 200 combat engagements against manned and unmanned aircraft, cruise missiles, and tactical ballistic missiles. Since January of 2015, Patriot has intercepted more than 100 ballistic missiles in combat operations around the world; more than 90 of those intercepts involved the low-cost Raytheon-made Guidance Enhanced Missile family of surface-to-air missiles. Global Patriot has a defined growth path that will ensure the system continues outpacing the threat through 2048 and beyond. Recently, Raytheon unveiled prototype radar that incorporates gallium nitride, a revolutionary semi-conductor technology that will enable 360-degrees of protection. 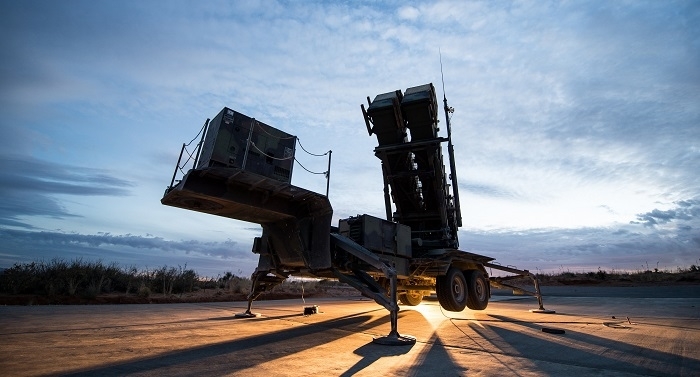 Sweden and 15 other countries trust the Patriot system to defend its citizens, military and sovereignty as it has a proven track record of defeating ballistic missiles and a host of other aerial threats. Patriot in Sweden will enhance Northern European security and further strengthen the Trans-Atlantic partnership by providing a common approach to Integrated Air and Missile Defense. It is considered as the backbone of Europe's defense against ballistic and cruise missiles, advanced aircraft and drones. Current European Nations with Patriot System include Germany, Greece, the Netherlands, and Spain. Within the past 12 months Romania and Poland signed Letters of Acceptance for Patriot, becoming the 5th and 6th European nations to procure Raytheon's Patriot system.